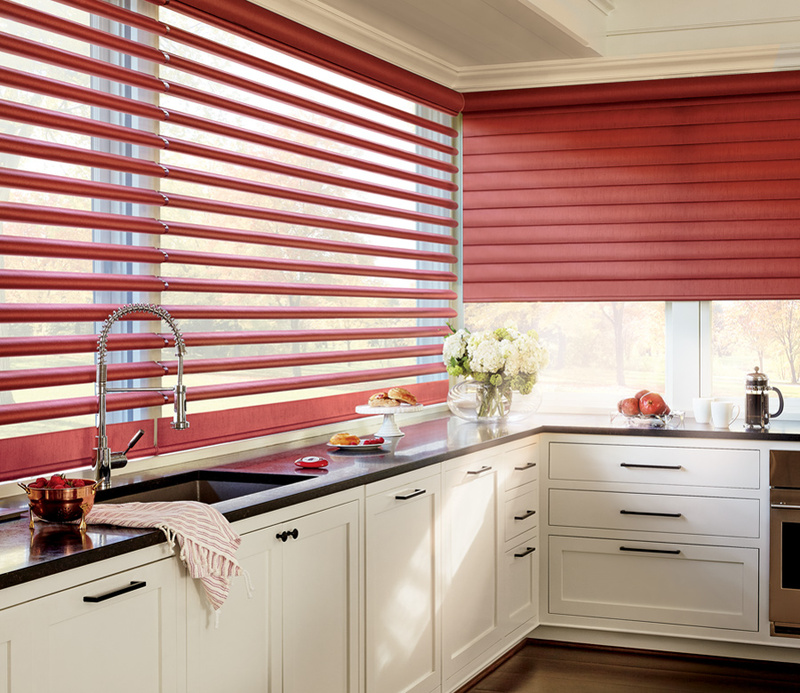 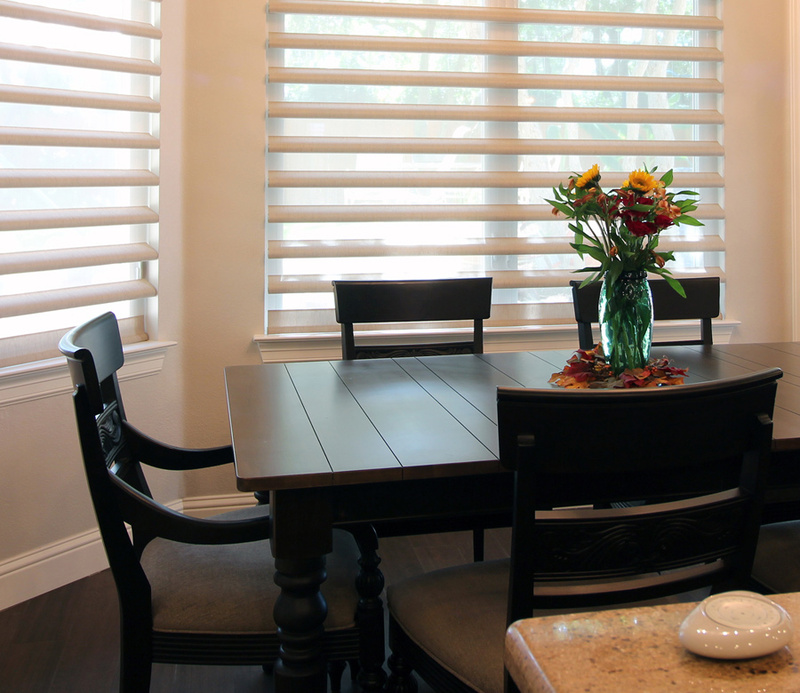 A unique combination of sheer shades and gorgeous fabrics come together in Hunter Douglas Pirouette shades. 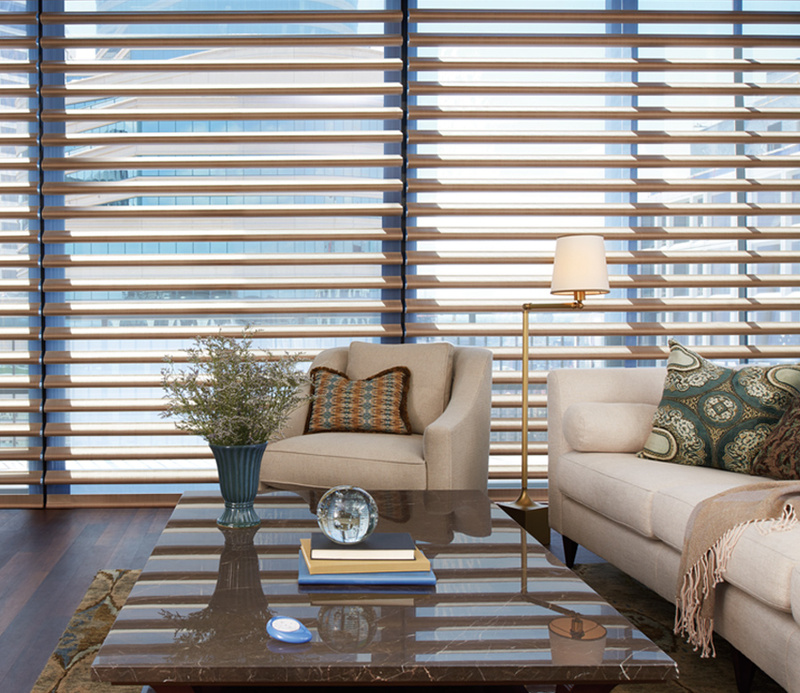 When open, you experience the view-through of the sheer fabrics, layered between folded fabric vanes. 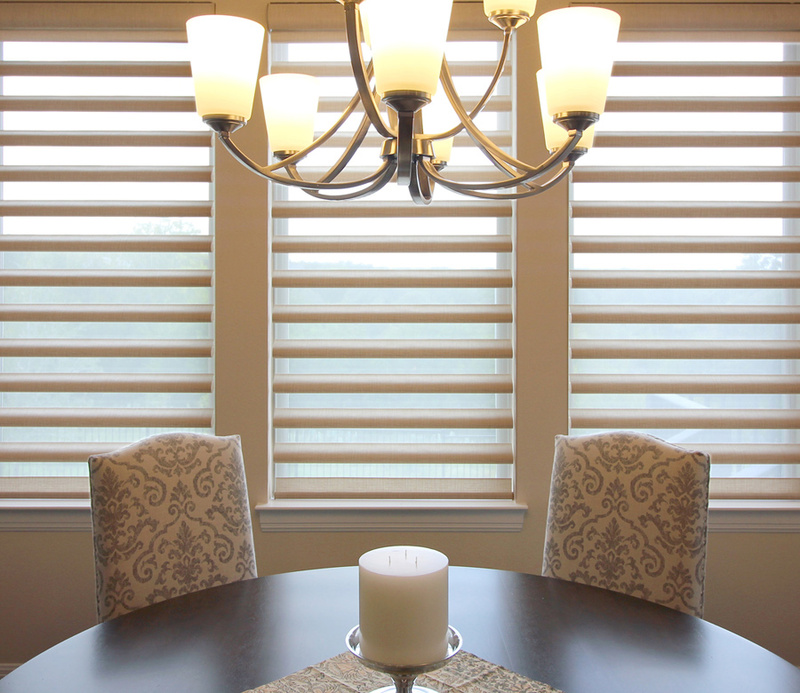 Those fabric vanes flatten as they close, creating a stunning backdrop. 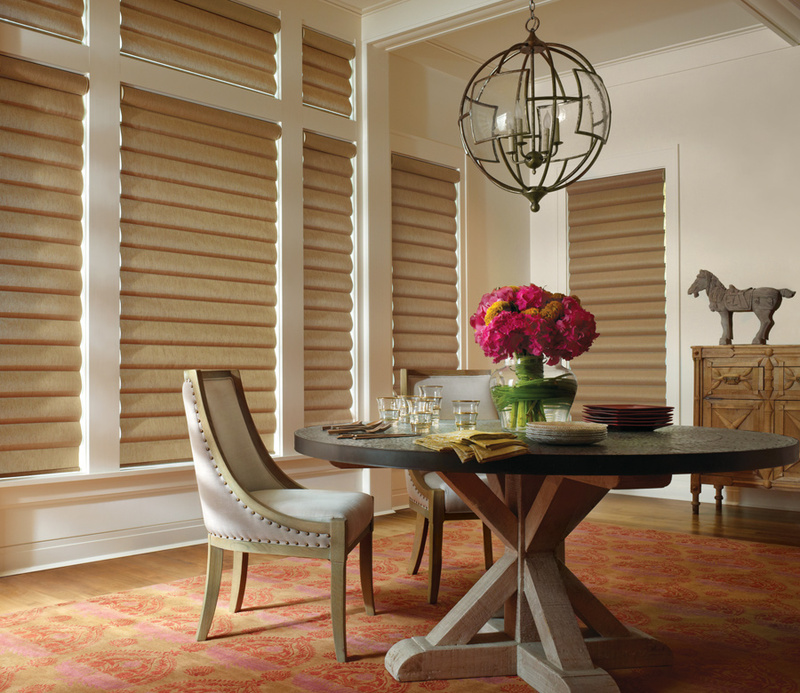 The versatility of pirouette shades makes them perfect for spaces where you want to transform the atmosphere from light filtering to room darkening and anywhere in between.